Hello! My name is Geneva Alexander, and I’m the main character in the new mystery series that Linda is writing. 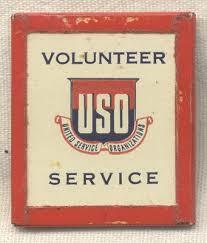 I wanted to introduce myself, and tell you a little bit about the United Service Organization (or USO – the name you’re probably more familiar with). I’ve just joined up, and I’m very excited to find out where I’ll be stationed. 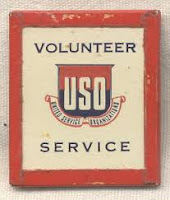 The USO was founded in 1941 when President Roosevelt decided there needed to some sort of organization to provide morale and recreational services to the U.S. military personnel. He was elected honorary chairman. Six civilian organizations came together one umbrella: the Salvation Army, YMCA, YWCA, National Catholic Community Service, National Travelers Aid Association, and the National Jewish Welfare Board. around the world. The club was the place to go for dances, movies, music and social events as well as a quiet place to write a letter or get free coffee and doughnuts. 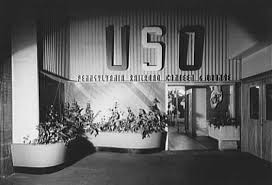 The USO is probably more famous for providing Hollywood celebrities and volunteer entertainers to perform for the troops. 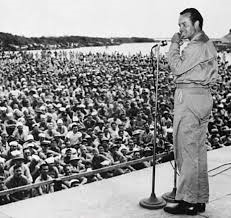 According to historian Paul Holsinger the USO did 293,738 performances between 1941 and 1945. There were 702 different troupes that toured the world. There was even a Liberty ship named SS U.S.O. that was launched in 1943. Despite the danger (twenty-eight performers died in the course of their tours), I’m looking forward to serving the troops as they fight the Axis powers. I hope you’ll follow along as I chronicle my experiences. Maybe I'll get to meet Bob Hope!